If you have orders to Colorado, you are fortunate! 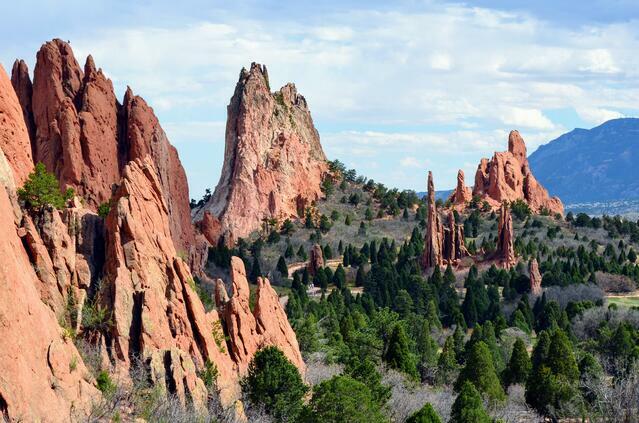 Colorado, specifically Colorado Springs, is a beautiful area offering residents a variety of activities. The natural scenery alone is enough to draw you to the area. Colorado Springs is on the edge of the Rocky Mountains, which creates a beautiful background for your hikes. But there’s more to the city than beautiful scenery; there’s also an incredible culture. The historical presence, the museums, Pikes Peak, the Garden of the Gods, the aspen trees, and places like the zoo all make Colorado Springs a special place to be. But it’s not the scenery that pulls service members to Colorado Springs; it’s the many military installations located in the area. The United States Air Force Academy, Peterson AFB, and Fort Carson are all located within just 30 miles of each other. 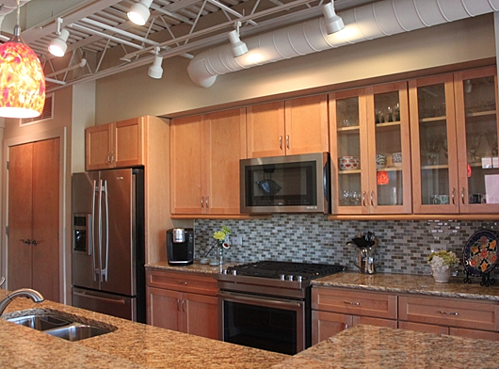 This week, we're featuring homes for rent by owner. 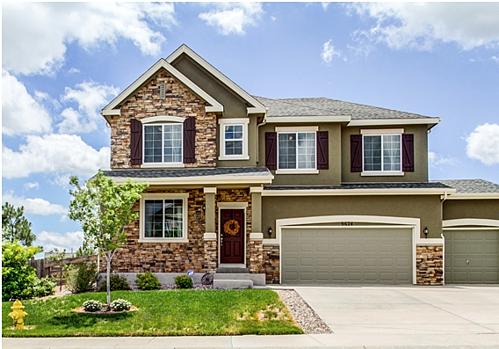 Check out these 3 MilitaryByOwner Colorado Springs listings! This spacious six-bedroom home sits on 2.5 acres in Colorado Springs. Located about 20 minutes from the U.S. Air Force Academy and about 30 from Peterson AFB, your longer commute will give you incredible space and privacy with this property. 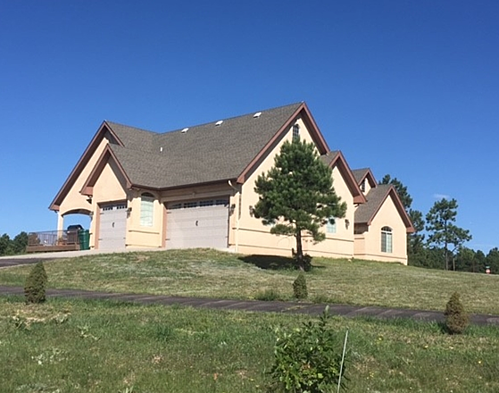 From the beautiful lot, view Pikes Peak and easily walk to Section 16 and other trails in Black Forest. The interior features such as the light cabinets, stone fireplace, and wood flooring make this large home feel warm and cozy. And the master suite does not disappoint. It features a fireplace, a large jetted tub, his and hers closets, and an incredible view of Colorado’s natural beauty. This property is great for a large family looking for privacy and a little space from work! Bonus: The home has an oversized three-car garage. This five-bedroom home is the epitome of “picture perfect.” It’s equidistant from Peterson AFB and the U.S. Air Force Academy, both no further than 20 miles, and is part of the Meridian Ranch community which features a pool, golf course, and clubhouse. 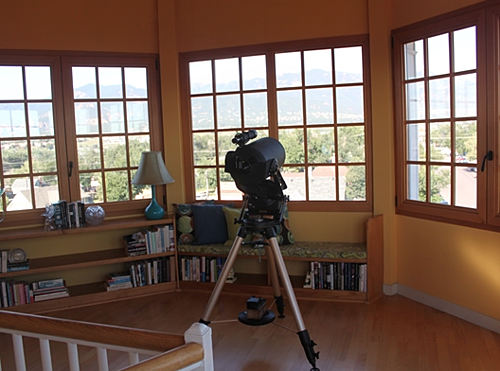 The house sits on a corner lot and provides fantastic views of the Front Range and Pikes Peak. The fenced backyard makes for a great area for children and pets to run around. 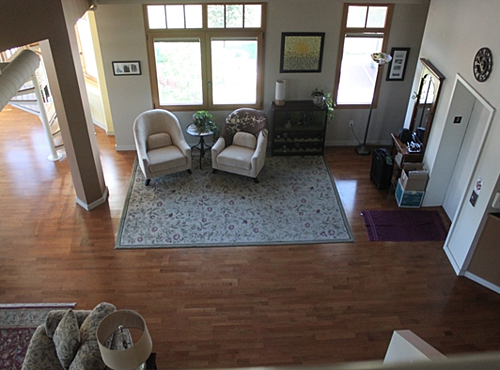 Inside, you’ll notice the open floor plan and the two-story tall ceilings in the great room. Fall in love with features like the rich wood flooring, large windows, and beautiful upgrades found throughout the home. You may never leave the kitchen once you see the espresso cabinets, subway tile, granite countertops, stainless steel appliances, double oven, walk-in pantry, and large island! 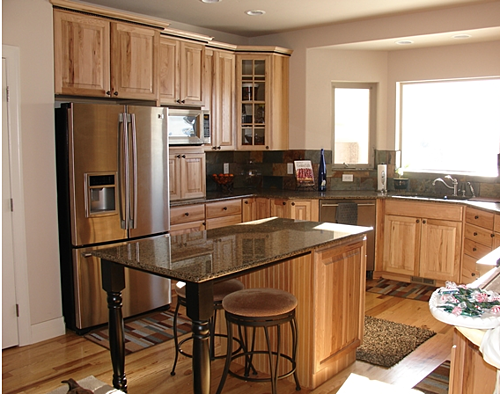 This space is comfortable for cooking and great for entertaining. Upstairs, find three bedrooms and the master suite. The master features trey ceilings, a walk-in closet, a corner soaking tub, separate shower, and double vanity. The best part about this suite is the panoramic view of the Rockies. 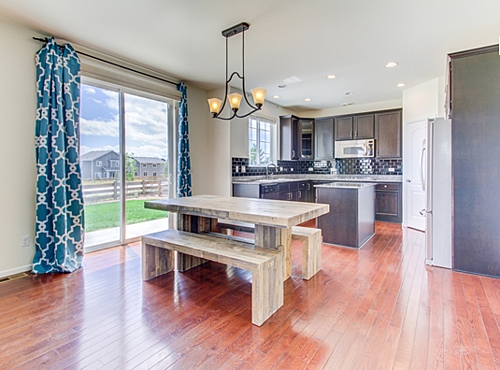 The space, the views, and the yard make this property an ideal space for a family PCS’ing to Colorado! Bonus: The unfinished storage room can easily be finished and made into a home gym or workshop. This impressive three-bedroom condo is located in downtown Colorado Springs, less than ten miles from Fort Carson and only 20 miles from the U.S. Air Force Academy and Peterson AFB. The semi-private elevator opens into a great room which leads to the kitchen on your left or the spiral staircase to the loft on your right. As you might hope, the kitchen features granite countertops, tile backsplash, a gas range, Jenn-Air stainless steel appliances, glass-front cabinetry, pendant lighting, and a counter bar with reclaimed wood fascia. 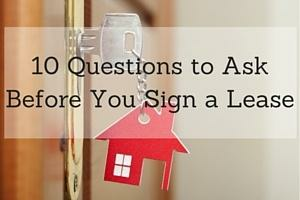 But the kitchen isn’t the only thing that will sell you on this property. As you make your way through the remainder of the condo, you’ll noticethe master suite has heated tile flooring and towel racks and a private spa with body sprayers and a rain shower-head. It's not one specific feature that makes this property enticing. While the loft is an incredible space, the combination of small details like the view of Pikes Peak, the short walk to local restaurants, the exposed air ducts, wood flooring, and spiral staircase all add to this home's allure. Bonus: Both the driveway and the underground garage space are heated. If you want to expand your search in the Colorado Springs area, check out MilitaryByOwner’s Colorado base page!